Presidio Knolls School, located on the grounds of the former St. Joseph’s campus at 10th and Howard Streets, is gradually expanding to a full K-8 program. Next Fall they will open kindergarten and 1st grade classes and will add one more grade per year thereafter. The school is ideal for families seeking a progressive approach to education within the context of Mandarin immersion. With a newly renovated space, dynamic teachers, a thematic and integrated academic and arts curriculum and an engaged parent community, Executive Director Wendy Xa says that she believes this expansion will offer something unique to San Francisco and South of Market in particular. 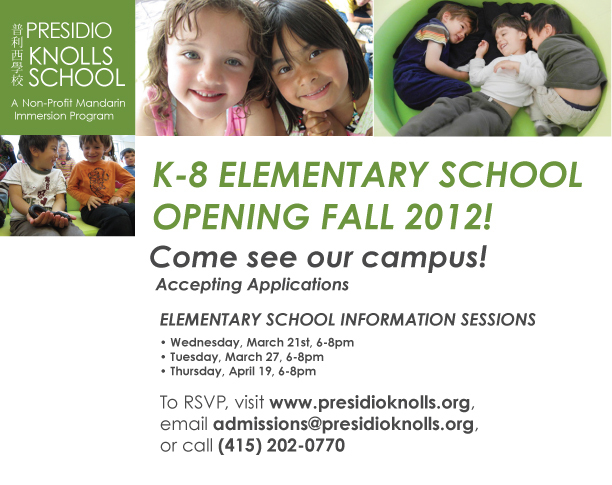 As families eagerly await their kindergarten admissions notifications this week, Presidio Knolls School wants to let you know that they are keeping a few open spaces available for their new kindergarten and 1st grade classes in order to accommodate families who were not accepted into their first choice options. Thursday, April 19 at 6-8pm. 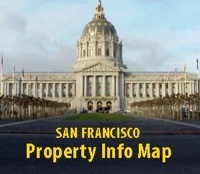 More information is available at http://www.presidioknolls.org. You can contact them at admissions@presidioknolls.org or call (415) 202-0770.